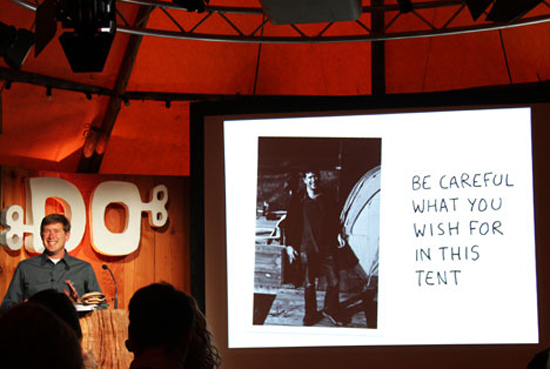 I spoke at the Do Lectures about pursuing a lifelong dream to become a cartoonist. Some of you asked for more details, so here are the notes from my talk. There have been some nice articles in Wired, Treehugger, and the Harvard Business School newspaper too. Three years ago, I had the great fortune of coming to the first Do Lectures. At the time I worked for an amazing company called method. 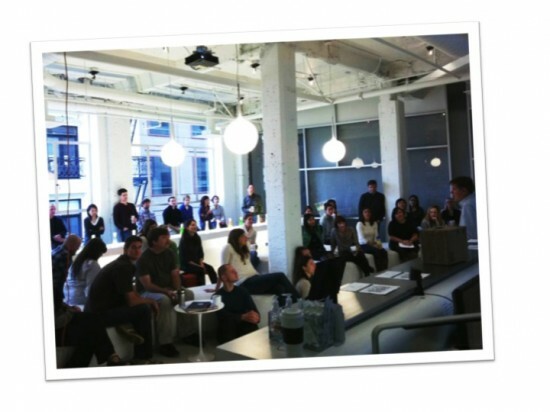 When I heard about the Do Lectures, I thought that the method story would make an inspiring talk. So, I wrote the founder, David Hieatt, offering to tell the story of method. He agreed that it was an inspiring story. But, he said, it’s not your story. He then asked the founders of method to tell it. I knew that David was right. Method wasn’t my story. But it left me wondering, what is my story? And so I came to this tent three years ago with that question in mind. After several days, the answer came to me. I wanted to be a cartoonist. I don’t know what they put in the tea here, but this was a crazy idea. I didn’t go to business school to become a cartoonist. I certainly didn’t take on business school debt to become a cartoonist. I hadn’t managed my resume to become a cartoonist. I was in the SITKOM demographic: “Single Income, Two Kids, Oppressive Mortgage.” That’s not the recipe for a cartoonist. But, there it was. Once I voiced that wish in this tent, it wouldn’t leave me alone. And so, two years later, one year ago, I left a great job, at a great company, in a recession, to become a cartoonist. Today, I’m here to share the story of finding my story, in the hopes that it helps you think about yours. The truth is, this wasn’t the first time I had made that wish. I had always wanted to draw for a living. 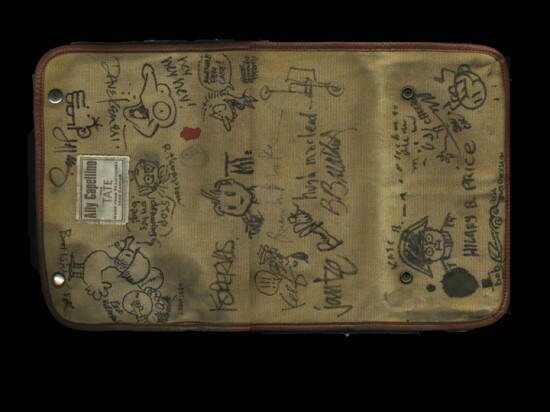 As a kid, I always had a sketchpad with me. I not only liked to draw, I wanted to be known for it. 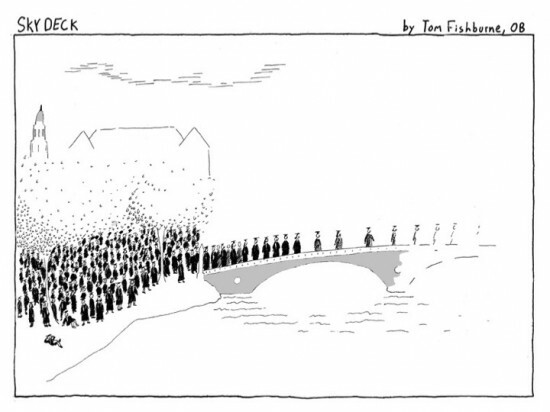 At the age of 11, I signed my drawings “Tom Fish” because I thought “Fishburne” would be too long. I drew animated cartoons on flip books like these. My dad was a doctor and I particularly loved drawing on the backs of his prescription pads. 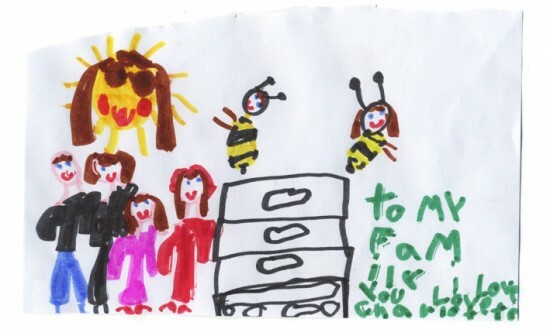 My dad would then reclaim them to write prescriptions, with my doodles on the back. So I was first published on prescriptions written to internal medicine patients across Lancaster County, Virginia. My three main heroes growing up were Bill Watterson, Gary Larson, and Berkeley Breathed, three of the greatest cartoonists of all time (Calvin & Hobbes, Far Side, and Bloom County). I used to redraw their cartoons, substituting my brothers and friends into the panels. In 1995, the year I graduated from university, Bill, Gary, and Berkeley all quit cartooning. They each told a version of the same story. They could no longer find fulfillment in it, the way that traditional newspaper cartooning worked. By then, I had long stopped drawing. I started thinking about my resume and my career. And then, years later, that childhood voice reappeared, in the most unlikely of places, Harvard Business School. 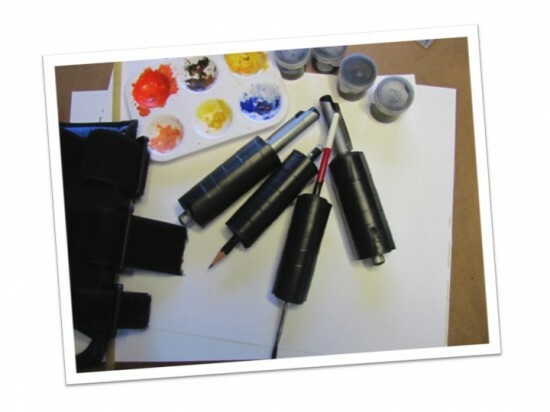 It’s not where you go to learn to become a cartoonist. It certainly wasn’t in my application. But it was there that I met Prash. Prash ran the school paper and constantly hounded our class to contribute. I made the mistake of mentioning I always wanted to draw a cartoon strip and he wouldn’t let me forget it. I avoided him for as long as I could. And then he cornered me in a crowded lecture and challenged me to draw a cartoon on the spot. I learned that your childhood dreams won’t leave you alone, even if they come from others. 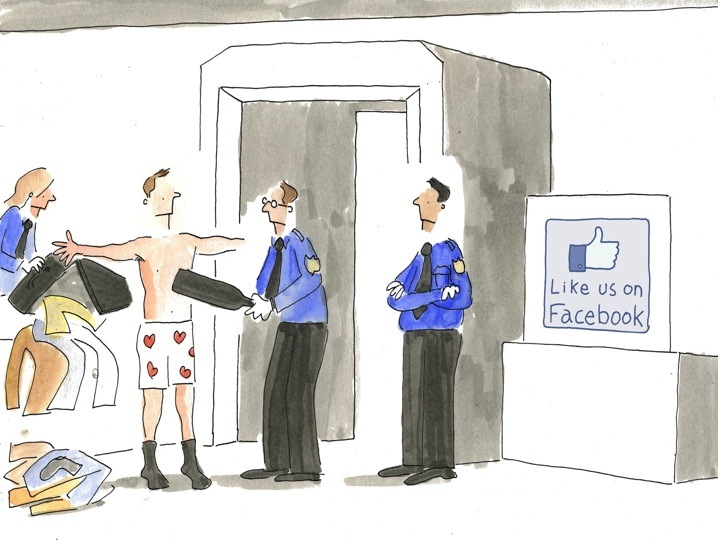 For the next two years, I drew a weekly cartoon on life as a Harvard Business School student. 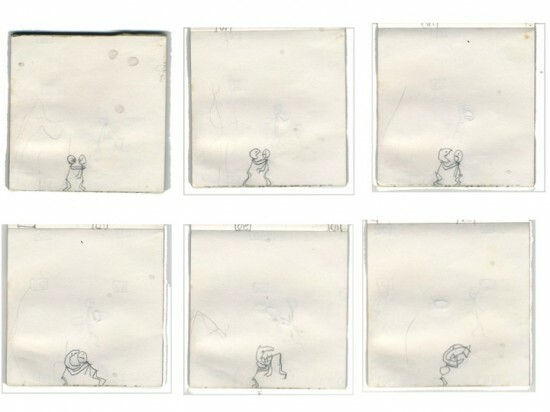 I learned that cartoons could capture an experience, the insular world of students. I discovered that cartoons don’t have to be funny. They can be poignant. They can communicate when words don’t work. I drew this cartoon the afternoon of September 11, 2001. The student paper didn’t know what to say. What could you possibly publish in a paper on September 12, 2001. They ran this cartoon instead of a headline. 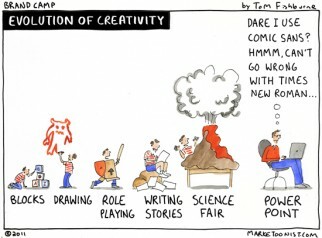 And it made me want to become a cartoonist. 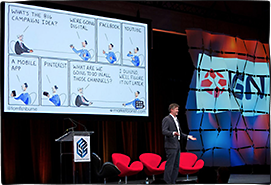 When I graduated from Harvard Business School, I knew that cartooning had become more than a hobby for me. I thought of becoming a cartoonist, but if Bill, Gary, and Berkeley couldn’t make it, what hope was there for me? 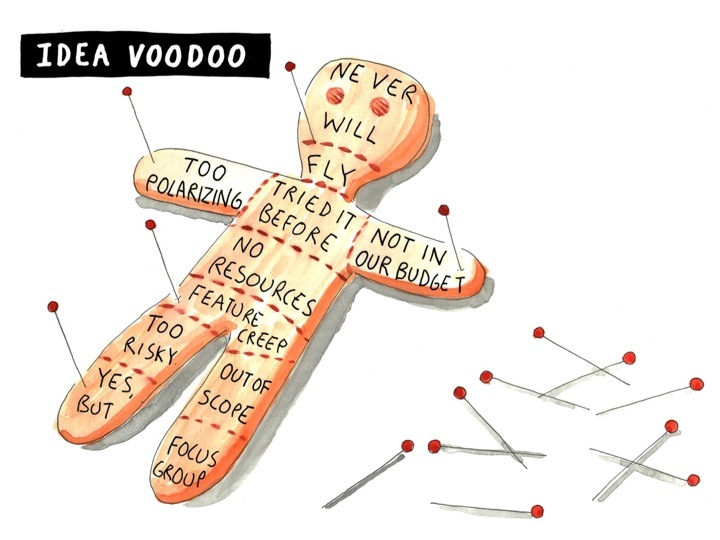 I had spent two years learning about businesses, so I looked at the cartooning market. I discovered that most of the cartooning market looks something like this. 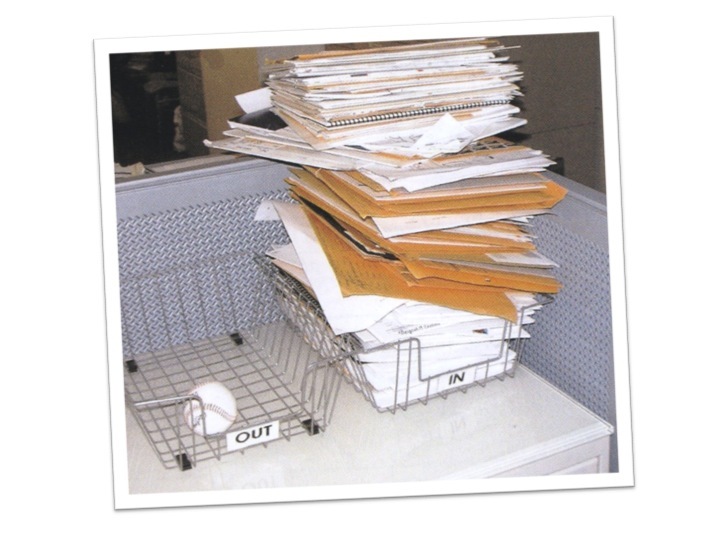 This is Bob Mankoff’s inbox. Bob Mankoff is the Cartoon Editor at the New Yorker. Each week, he gets over 1,000 cartoon submissions for 17 spots. Most of the spots are taken by veteran cartoonists. You don’t stand a chance unless Bob thinks you’re serious. To show you’re serious, you need to submit ten cartoons a week, every week, for a year. When Bob was starting out, it took him ten cartoons a week, every week, for two years. I didn’t need an MBA to realize this didn’t make financial sense. So I decided to just draw for fun. 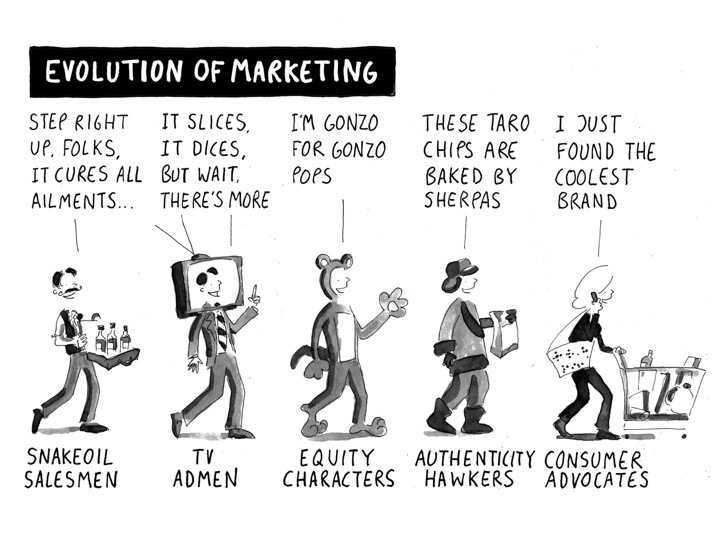 I took a marketing job at General Mills and started drawing cartoons about marketing. I wasn’t ready to commit to ten cartoons every week for a year. But I was happy to draw one cartoon every week for ten years. I set up an email newsletter and sent it to 40 friends who had just joined General Mills with me. And then I simply drew cartoons to that audience. Nearly ten years later, my cartoons reach 100,000 readers a week. When blogging started, I added a blog. When Twitter and Facebook started, I added those. I discovered that cartoons are phenomenally easy to share, particularly within a niche audience. I had no traditional syndication, but my cartoons were shared regularly by those with large audiences. 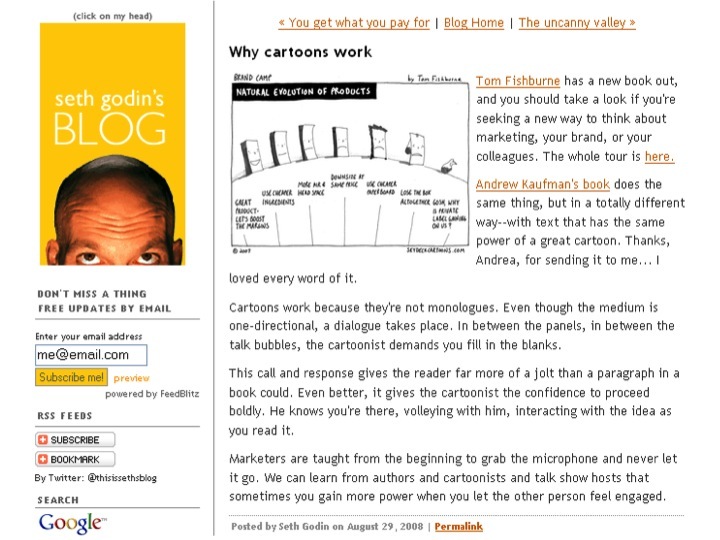 Each time Seth Godin, Guy Kawasaki, or the New York Times shared my cartoons, my audience grew. Yet I was making no money at it. It wasn’t a business. It was a labor of love. I was moonlighting with a very busy day job. This was my situation when I first came to the Do Lectures. 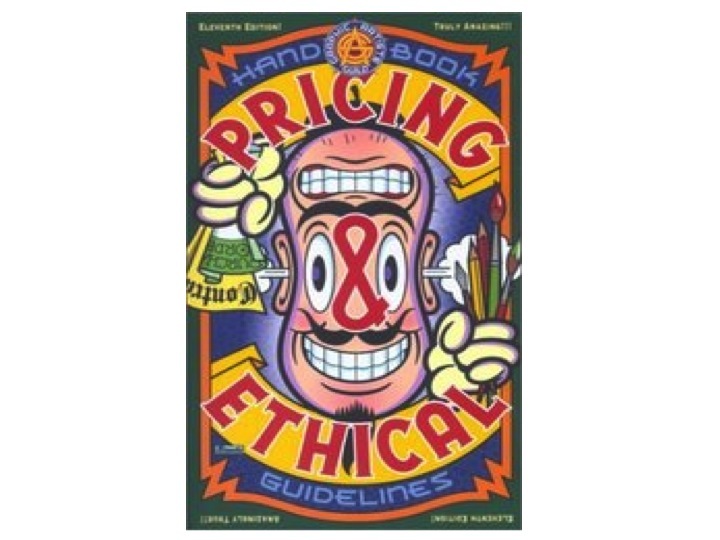 I realized that Bob’s saying not only applied to how to draw cartoons, but to the business model. If I wanted to make a living at it, I not only had to follow my bliss, I had to learn how to market my bliss. I had three revelations that helped me think how to turn cartooning into a business. The first came with a phone call from the Wall Street Journal. The Wall Street Journal is nearly as competitive as the New Yorker. They print one cartoon an issue the size of a postage stamp. But it wasn’t the editors who called me. It was the marketing department. 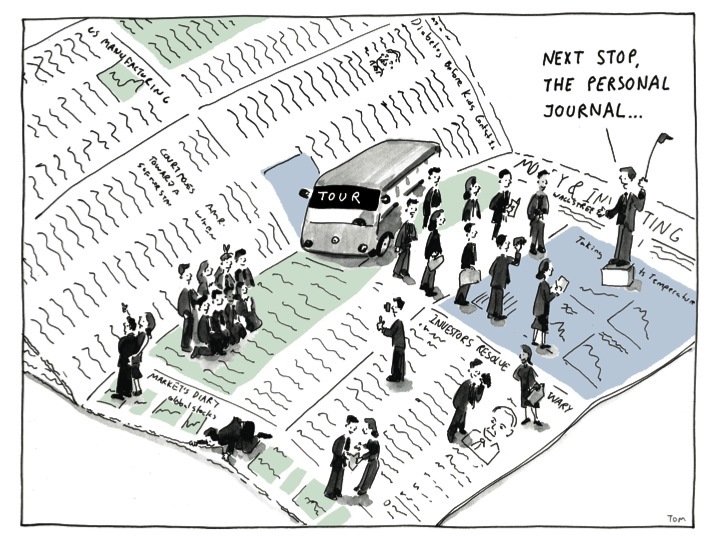 They commissioned me to create a 20-page cartoon book on how to get the most out of the journal. There are many cartoonists out there, but they picked me because they thought I would understand their readers since I was a business person myself. The second revelation came in a coffee with a client. My regular readers were marketers with marketing budgets. I started to get calls to do custom projects. To figure out what to charge, I referenced the official guidelines from the Graphic Artists Guild. One client took me to coffee after a project. He said he loved the work, but that I had thought about it all wrong and priced myself too low. He said that I was thinking of myself as an illustrator when I should think of myself as a communications consultant. He told me I needed to price my work based on the value it brought to him. I learned to stop pricing my work like a commodity. I had to start thinking like a marketer. My third revelation came from thinking about the value I was bringing. I realized that my work was not cartooning, but brand storytelling. 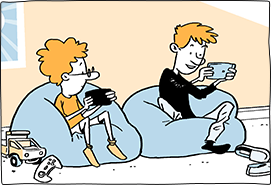 I learned that cartoons can be remarkable media devices. They are capable of reaching niche audiences in a memorable way without just pitching features and benefits. 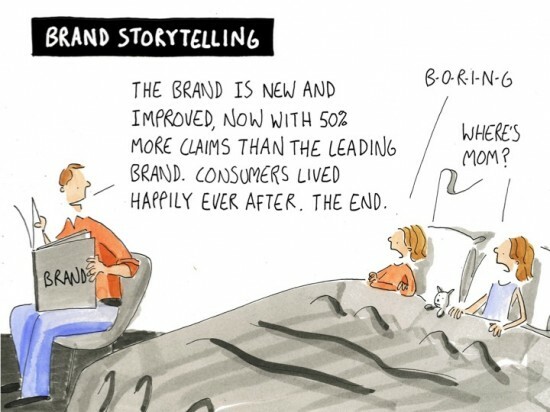 Cartoons can be marketing worth sharing. 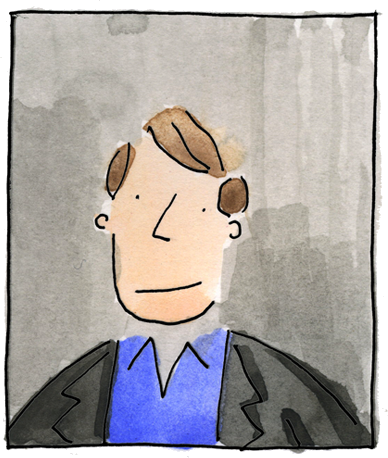 So, I created a business called Marketoonist. I started to ramp up my moonlighting with a business model that showed I could someday do this full-time. I then faced the terrifying decision of when and how to jump and leave a safe job behind to make it a real business. 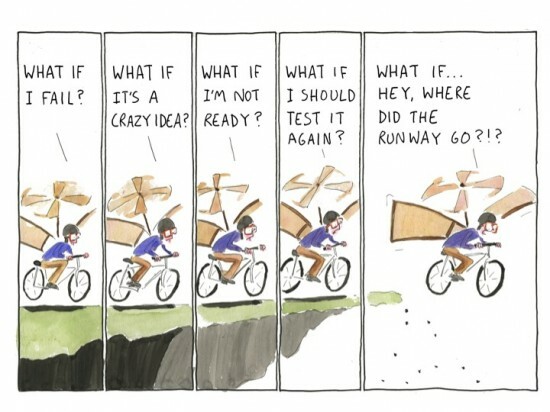 I found inspiration in a quote from David Hieatt: “There is a point on a runway during takeoff that a plane reaches V1 speed. Once it passes V1 it has reached the point of no return. The point where the take off cannot be aborted. The plane has to take off. Or crash.” He suggested that entrepreneurs draw their own V1 line, and then jump when they reach that point. My V1 line included four criteria: moonlighting revenue at half my salary, a home equity line of credit, a plan to reach revenue equal to the salary I was leaving behind within one year, and the support of my amazing wife, Tallie. And then, one week from my V1 line, method gave me a big promotion. It threw me and I didn’t know what to do. I knew that a delay wouldn’t just be a delay. It would take me on a totally different path. After a tremendous amount of soul searching and talking to mentors, I jumped. I had the chance to tell the whole company why I was leaving. Some understood. Some didn’t. But the important thing was that I understood. I emailed my cartoonist friend, Michael Jantze, with the news. He replied, “Call me when you wake up screaming”. A few months later, I realized what he meant. When you do something entrepreneurial, sooner or later, you will wake up screaming. I discovered that I started to have pain in my wrist if I drew for longer than 20 minutes. This is a problem when you make a living with your hands. It scared me. I highly recommend that you never ever google any health issue you fear you might have. Fortunately, I was able to change my behavior by wrapping my pens in foam rubber, using ergonomic keyboards, and wearing a wrist splint. The pain went away. I learned that any setback is just a test to see how badly you want something. My business began to take off. I discovered the value of emailing cartoons for free for ten years. All I did was tell my audience about my new business and the phone started to ring. 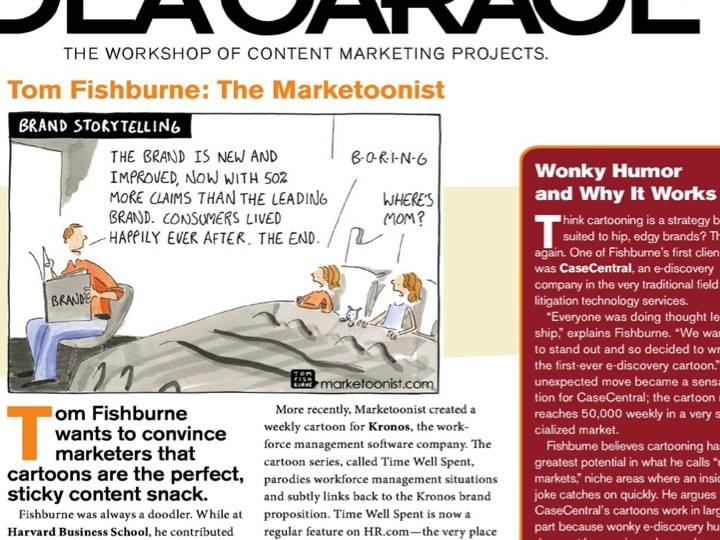 I started helping lots of different types of companies with cartoon-based brand storytelling. One single cartoon in a campaign was seen 400,000 times, which would have cost $16,000 if the client had bought those impressions with LinkedIn instead of using cartoons. 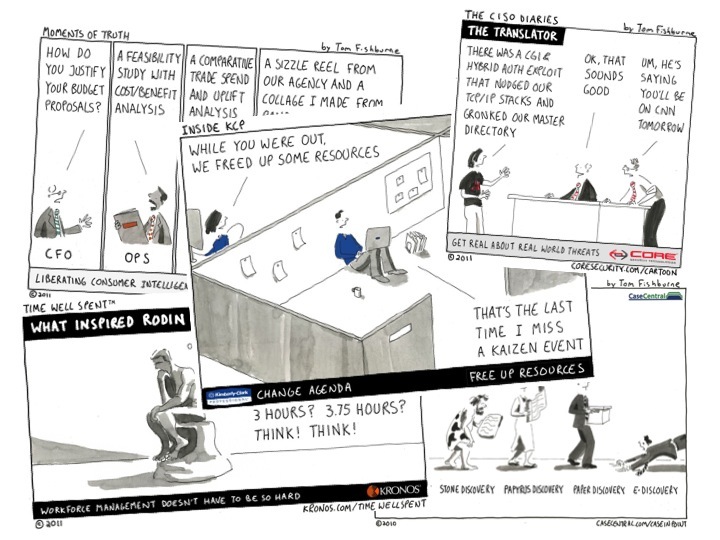 With one of my earliest clients, we’ve published a cartoon a week every week for three years. Most traditional ad campaigns only last a few months. After nine months, three months earlier than planned, I achieved my revenue target equal to the salary I walked way from. 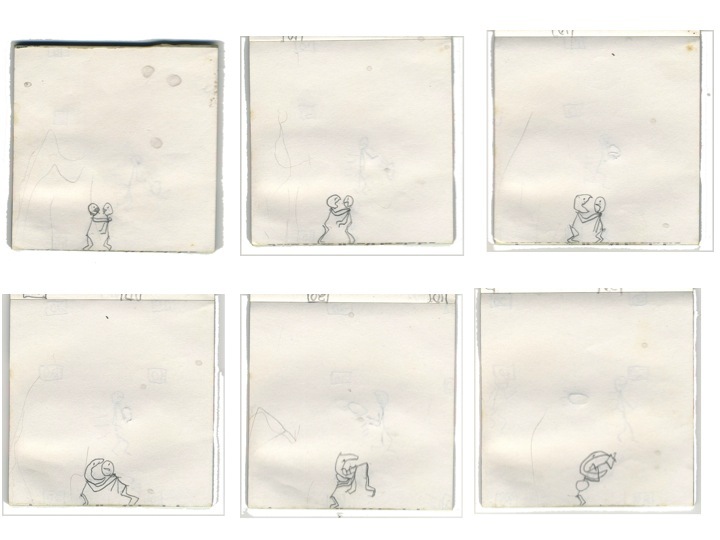 This may sound quick, but this was also ten years and nine months after first starting to draw cartoons. I didn’t know this when I started, but one of the evolving trends in marketing is content marketing, where businesses market themselves through content worth sharing. What better form of content than cartoons. When you do what you love for a living, you get to meet your heroes. I went to the National Cartoonist Society meeting and talked to many of my favorite cartoonists. I asked them to sign my draw bag, where I keep my pens and brushes. I discovered that many of them are struggling because the business model of cartooning is so broken. Newspapers are in trouble and the traditional markets are dying. These are the world’s best storytellers and many of them can’t make a living at it. I met a cartoonist in his 70s who still pulls an all-nighter every week to make ends meet. I discovered my business purpose. My next stage will be figure out how to leverage the incredible talent of these cartoonists in a way that provides a new market for their work. I want to help match the world’s best storytellers with brands and businesses that need better storytelling. 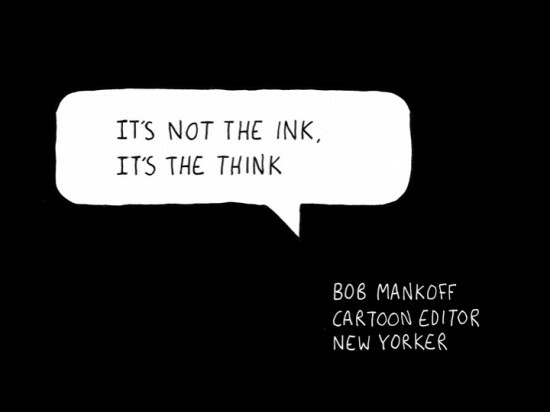 I find inspiration in Bob Mankoff, who is one of today’s best cartoonists, not just because of the cartoons he draws directly, but also because of the cartoonists he edits in the New Yorker. I met my childhood hero, Berkeley Breathed. 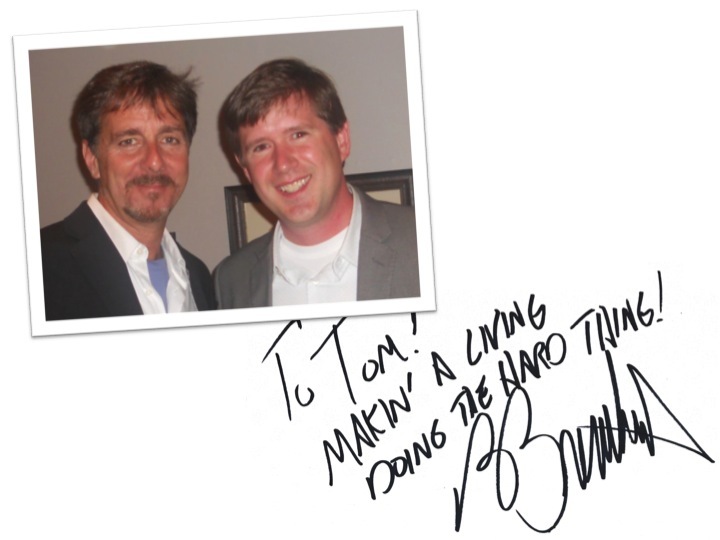 He told me I was “making a living, doing the hard thing”. For me, that’s what it’s all about. I’ve worked harder the last year than I ever have. But it has also been the most rewarding year of my professional life. One of the best things about having a home office is that every day is bring your daughters to work day. My girls come out to the studio to draw with me. 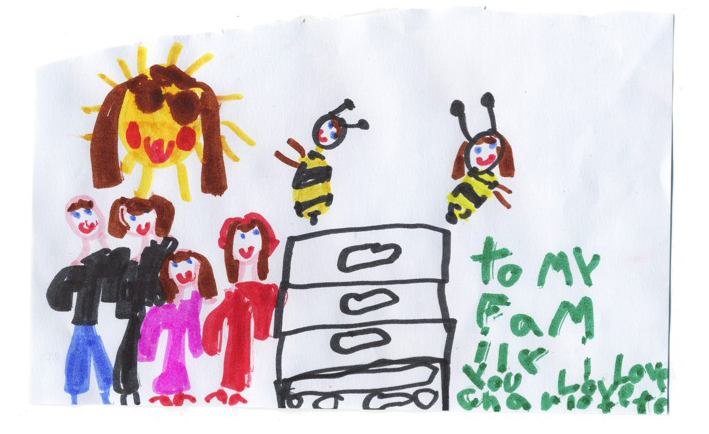 And to watch our bee hives. 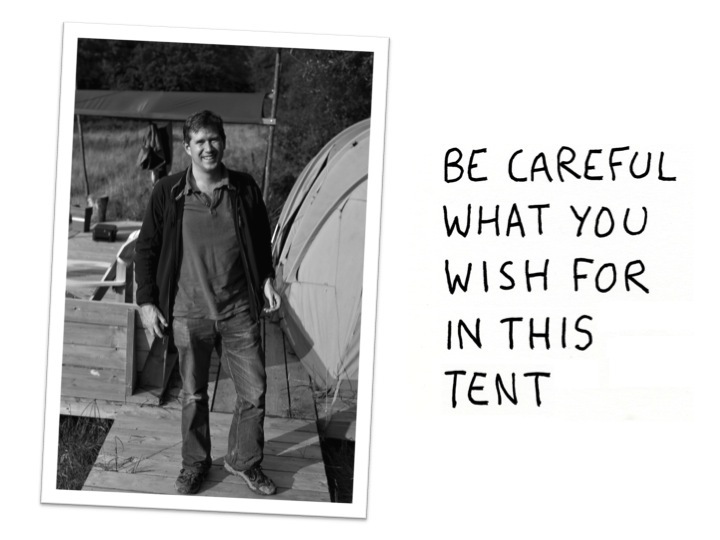 Be careful what you wish for in this tent. And then push your life the direction it wants to go. I’m impressed sir, that’s one heck of an epic article ! It’s not only well written and beautiful to look at, it’s also one of the most inspirational blog posts I have read in months. It’s awesome how this journey took you from your childhood passion to your DIY cartoon career thanx to the internet and your endless passion inside. Incredible story. Thanks for sharing! You are AWESOME, Tom ! How cool it is that I knew you way back when…. What a compelling and inspiring story! 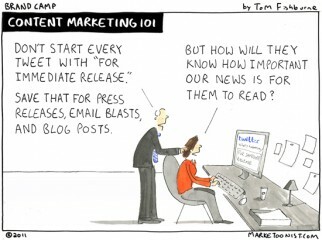 As a marketing professional, I love your point-of-view and the stories that your cartoons tell. From a career perspective, I love hearing the journey you took to land where you are today. I wish you continued success. Once again, thanks a ton for the post. It is very inspiring! So great to have enjoyed your cartoons at school and to see what you’ve done with your talent and inspiration. 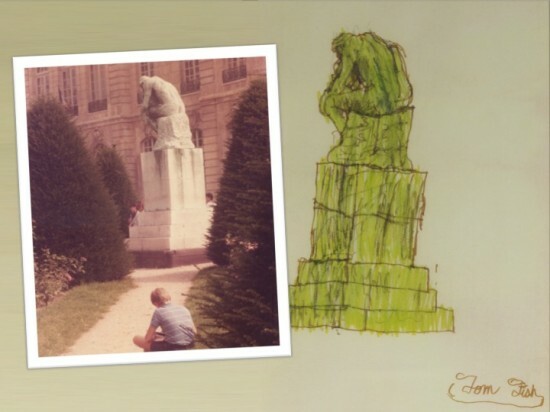 I too drew constantly as a kid…now I’m inspired to reconnect to what drawing meant to me. Congratulations! Inspirational! I particularly liked your storytelling about reaching that point of no return or take off velocity. And you shared the fact that this journey took you 10 years and months for your “overnight” success. As I launch my own practice, I’m now reminded of bees and continuing along a path that’s naturally where only this bee must fly. Good luck. I hope one day our paths meet. I am contemplating taking a very similar plunge to the one you describe in this article. There is a lot of writing out there about how impossible it is to make a living as a cartoonist these days. Thank you for providing counterpoint and sharing your story of success. It is appreciated more than you might realize, which is to say, immensely. Also, your cartoons are terrific! An excellent read. My dad was a cartoonist but he also was aware of how hard it was to make a living from it, especially when you hear how the greats are struggling. I work in advertising and love cartoons and admire what you’ve achieved. Beautiful! Fantastic! I’m so grateful you shared this! As a cartoonist I have struggled for years but enjoy every minute of it. Enjoyed you article.